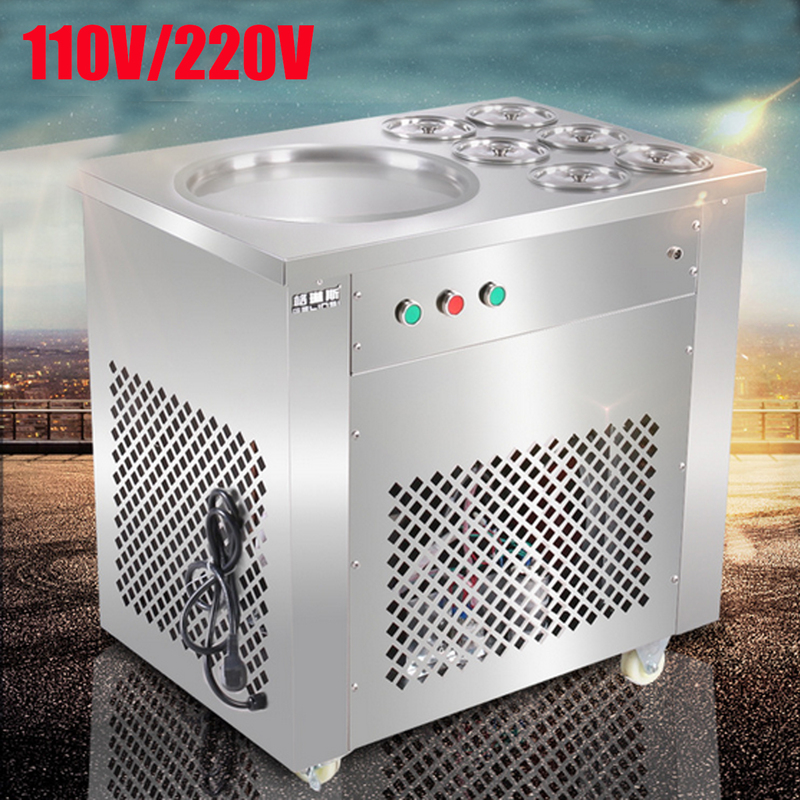 For just US$1,239.90 , buy 220V/110V Fried Ice Machine With 6 Barrels Ice Cream Making Machine from the China wholesale webshop. -Easy to get fried sand ice, fried yogurt, fried ice cream, to meet the various needs. -Line moving into the surface of the rectangular pot design, greatly increase the use of capacity, there will be no bump phenomenon. -New compressor, stable and fast, powerful, quiet cooling. 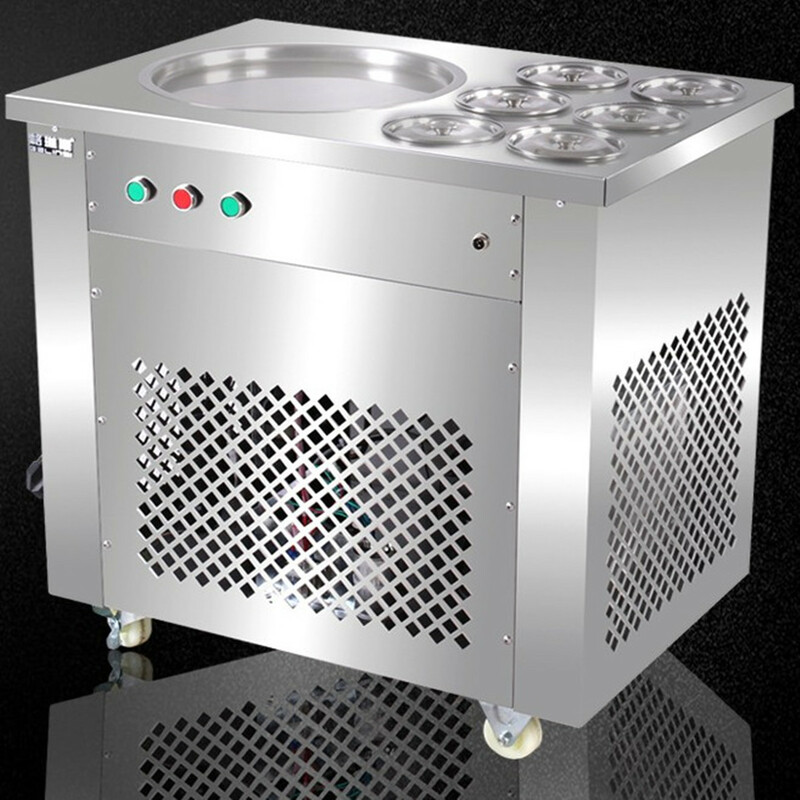 -Full copper condenser, good performance, fast, energy efficient. 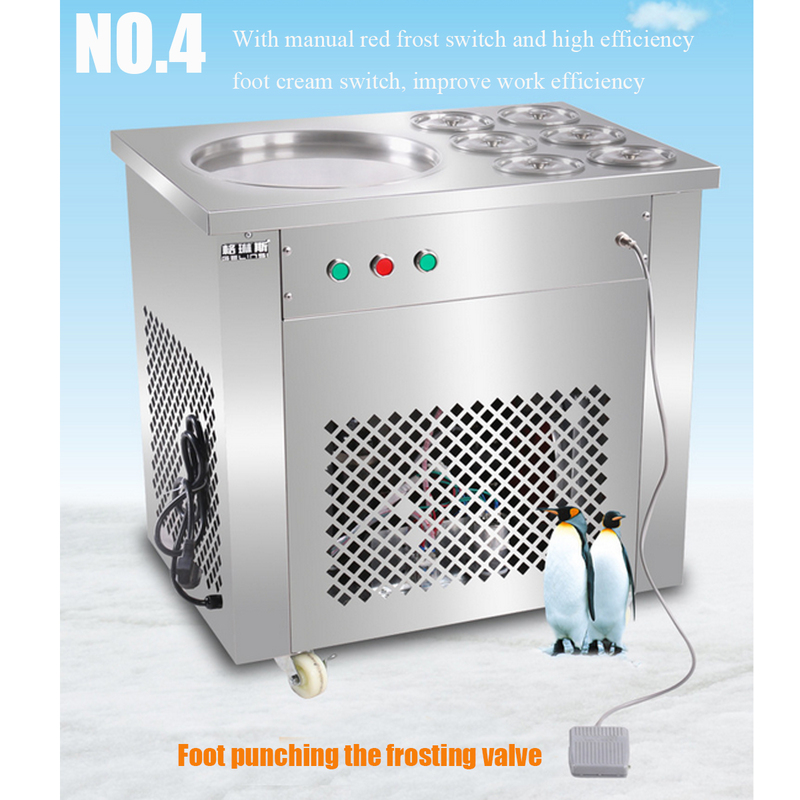 -With manual red frost switch and high efficiency foot cream switch, improve work efficiency. -Efficient heat dissipation, a large area of hollow ventilation board, to extend the life of the machine. -360 ° rotary casters with brake function for easy and stable.